Frank Comments: “A Science Fiction Novel of Incredible Imagination”…about keeping comely victims fresh in your dungeon? Say, why does the lady in green appear to have a tail of no small size? If you turn bikini lady the other way, her clothes reappear. Wot no Tap Dancing Tag ? When men without souls join forces with living machines, is there any hope for the Republican party? If Green Girl ever stops running, gravity will cause a major fashion faux pas. @B. Chiclitz: not if she runs into one of the anti-grav fashion display cubicles, like the one where the ginger lass is getting lifted and separated. Is that a tiara she’s wearing? Is this some sort of futuristic beauty pageant? Oh my! DAW brings the BAEN. 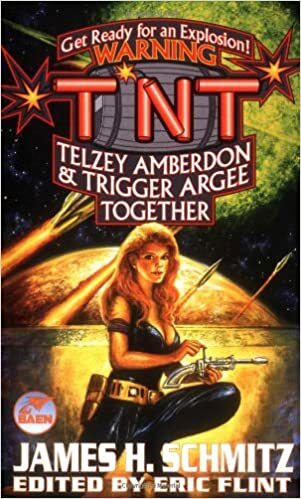 I am assuming the above cover is also a Telzy Amberdon book. Duh. BAEN Telzy. Great fonts. Ahem. Is this a rhetorical question?? 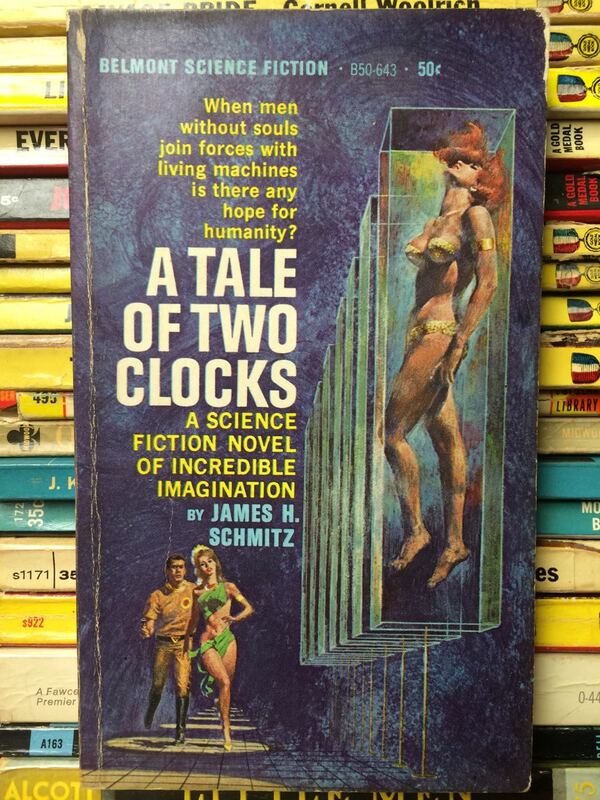 *yawn* Yet another sci-fi world where women wear only swimsuits without any consideration of the climate. And what creep’s been keeping women in boxes? The world needs to know! @Anna T.: Obviously, some creep thinks that under-dressed women need protection from the harsh environment – he must be the one man with a soul in this barbarous world. Ms. Green, please explain to the red-headed customer that these wall-mount anti-gravity bathtubs are demonstration models and that she has to buy one if she wants to use it. Dunno about men without souls. Didn’t they do ‘Safety Dance’?